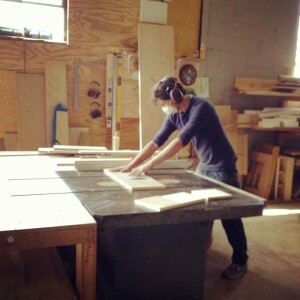 Million Studio, a project of Gabe Farrar, is a Los Angeles-based furniture and cabinet shop. We create custom pieces specifically designed for clients’ needs, as well as our own line of furniture and objects which are totally customizable. Each object is of heirloom quality and individually handmade in our LA studio. Recent clients include Maya Lin Studio, Eileen Fisher, Aesop, and Natura. Million Studio was featured in the Spring 2015 Etsy Lookbook. All photography by Ariana Page Russell unless otherwise noted.